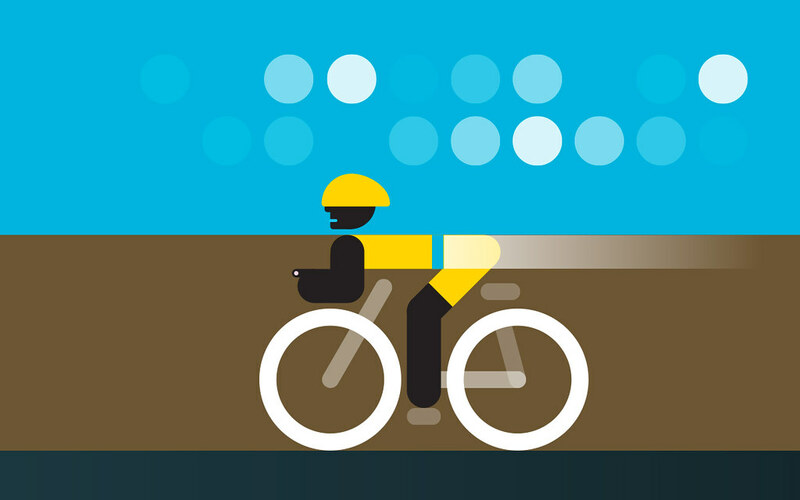 Applied Works commissioned illustrations and infographics from Peter Grundy in a project for energy company EDF – a real-time dashboard that visualises energy usage at venues across the Olympic Park, as well as Tower Bridge and the London Eye (no relation). Grundy’s colourful graphics (top) illustrate the context of each building’s energy use noting rainfall, daylight, temperature and opening hours. George Hardie (see Dan Nadel’s article in Eye 58) has made a small booklet that explains Olympian feats in human terms. 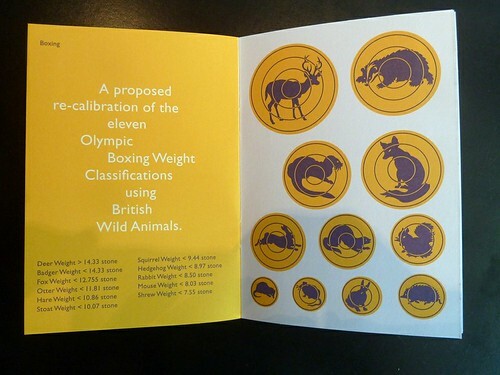 Metaphorical Measurements for a British Olympics was published by the University of Brighton as a Creative Campus Initiative. The booklet exercises ‘ironic accuracy and accurate irony’ (below). 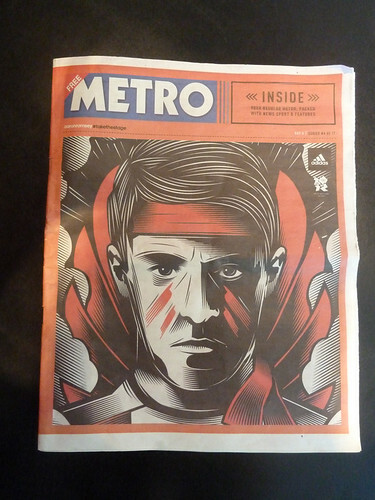 UK daily Metro teamed with Adidas, commissioning illustrators and designers to produce wrap covers for the morning paper. The cover can be exchanged in certain Adidas stores for the the day’s limited-edition print (below, Aaron Ramsay pictured by Elliott Grubb also known as Another Example). 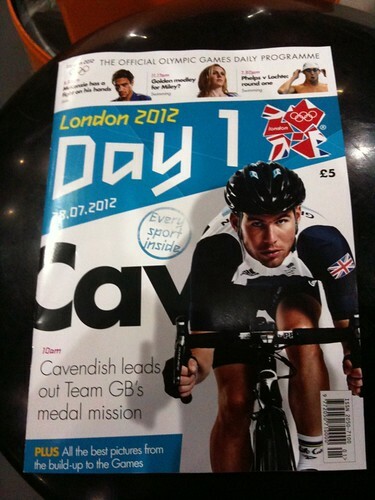 The team at Haymarket Network (see ‘Olympic press gang’) have been producing a daily programme (above) and they also published the programme for the opening ceremony, which shows Thomas Heatherwick Studio’s illustration of their Olympic Cauldron, codenamed Betty in the ‘save the secret’ run up to the spectacular event on 27 July. 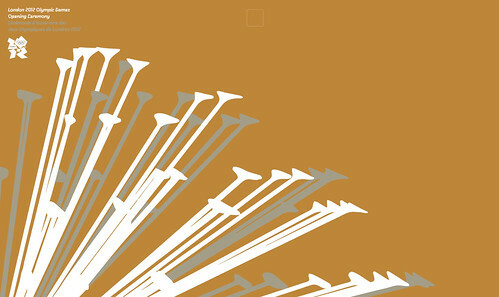 The cover (below) was designed by Martin Tullett and Paul Harpin. 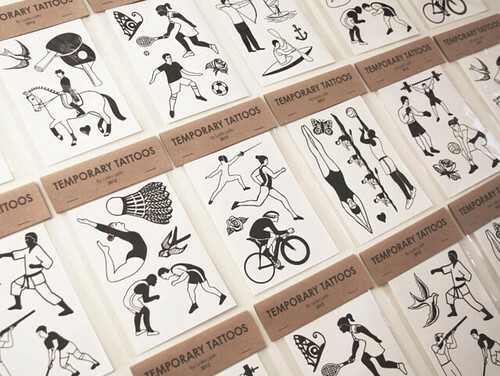 Lydia Leith has apparently taken inspiration from Tattly (see ‘Miss Fixit’ in Eye 83, just out) to create some unofficial temporary Olympic tattoos (below). 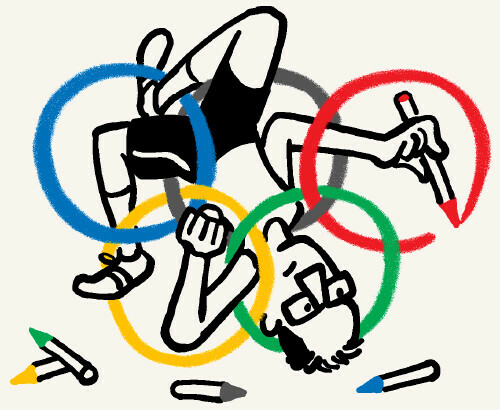 Christoph Niemann (above, see ‘Storytelling giant’ in Eye 72) is keeping us amused with his interactive ‘Competitive armchair Olympics’ on his New York Times blog. 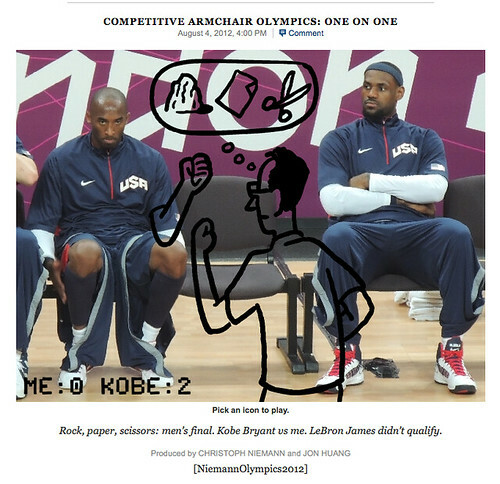 We were distracted by Road kill and Rock, paper, scissors (below) featuring Kobe Bryant, LeBron James and a virtual Niemann.